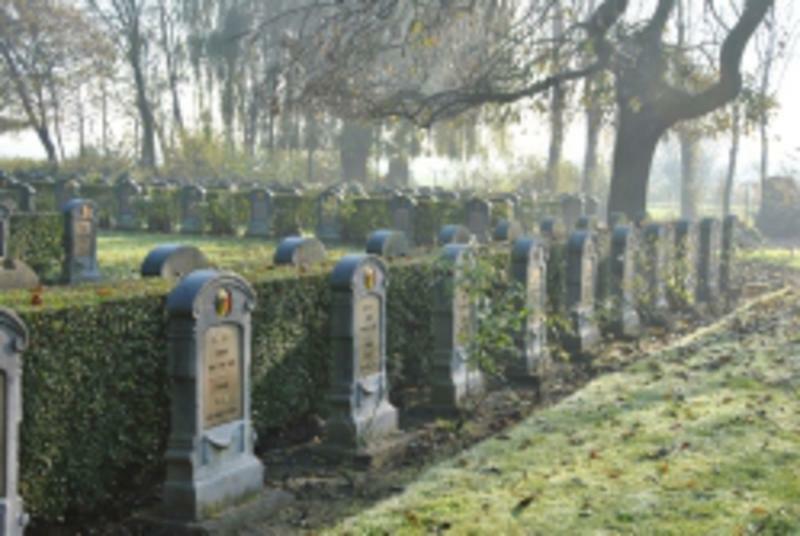 This cemetery is the last resting place of 590 soldiers, mainly from the 8th and 13th Line Regiments of the Belgian Army. 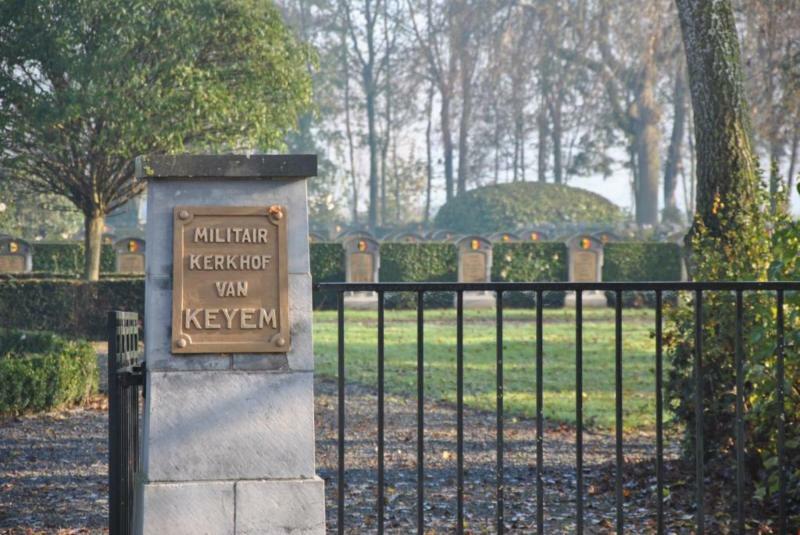 During the Battle of the IJzer (October 1914) an attempt to capture the village of Keiem was repulsed with heavy losses. 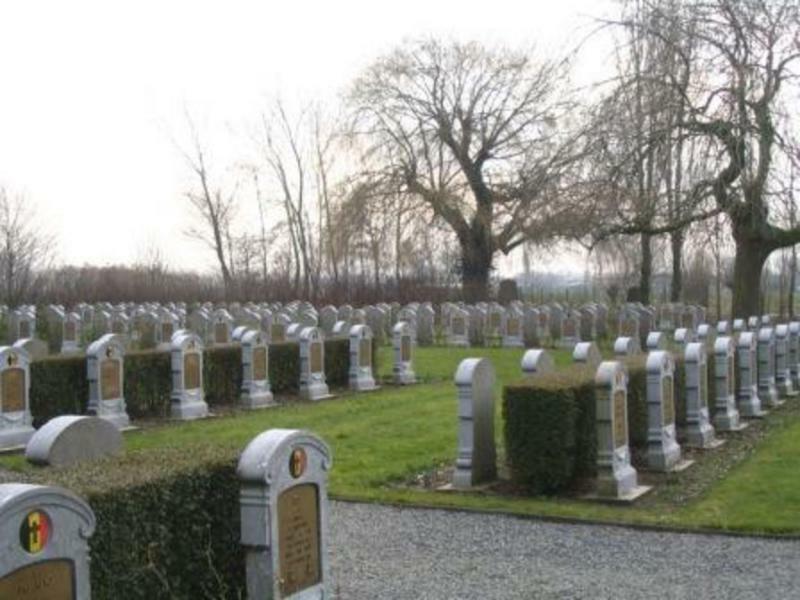 Many were killed during the confusion of the subsequent retreat to the hamlet of Tervaete, on the other side of the river IJzer.